Tucked quietly between Elizabeth and Plaza Midwood, Chantilly is one of Charlotte’s favorite historic districts. Located in the shadows of Uptown Charlotte North Carolina real estate, is the Chantilly community. Chantilly features beautiful tree-lined streets with charming bungalows and a warm, neighborhood feel. Comparable to Elizabeth and Dilworth, Chantilly’s historic development boasts affordable cottage-style residences surrounded by expansive, stately homes. Central Avenue and The Plaza are Chantilly’s main arteries. Central Avenue has recently experienced a rebirth, with new restaurants and entertainment venues which make the area a popular evening destination. Nearby grande, stately homes dating back to 1920, line the adjacent Charlotte Country Club’s quiet, curving streets as well. Centrally located to ‘everything Charlotte,’ Chantilly is certainly one of the most popular historic neighborhoods you’ll find in Charlotte North Carolina real estate. Let us take you on a tour of Chantilly today–we’ll show you why this beautiful neighborhood is one of the most popular, charismatic neighborhoods in the city, as well as one of the most affordable Charlotte neighborhoods. For the most-up-to-date information on Chantilly current home values, then we urge you to contact us. We can assist you with all aspects of buying or selling real property in this and other neighborhoods in the Charlotte Metro area. Also ask to be placed on an instant notification system when any new Chantilly MLS listings come on the market or price reductions in Chantilly are posted. The Maxwell House Group Real Estate can assist buyers in all forms of Charlotte relocation needs including new construction houses, condos, townhouses, for sale by owner homes, residential lots, townhomes, lofts, and new homes in various subdivisions across the Charlotte Metro region. If you are interested in foreclosure homes including pre-foreclosures, short sales, REO properties, bank owned properties and other types of foreclosure properties, then we can assist you. If you’re searching for Charlotte NC foreclosures in Chantilly or neighboring communities, then we invite you to view the listings in this or any of the Charlotte popular subdivisions on our site. And if you’re searching for condos or townhomes for sale in the Charlotte area, feel free to browse our updated listings of Charlotte condos, townhouses, townhomes, lofts on our site.  information on this page is based on information on single family homes for sale in Chantilly subdivision in Charlotte NC per the Carolina Multiple Listing Services, Inc. and is deemed reliable but, not guaranteed.